Adventure1st Holidays Pvt. 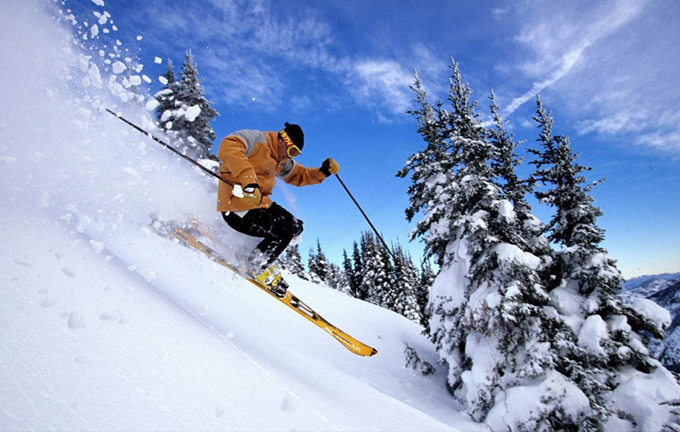 Ltd. is one of the fastest growing Outdoor Recreation & Adventure company in Himachal, India. Adventure 1st Holidays Pvt. 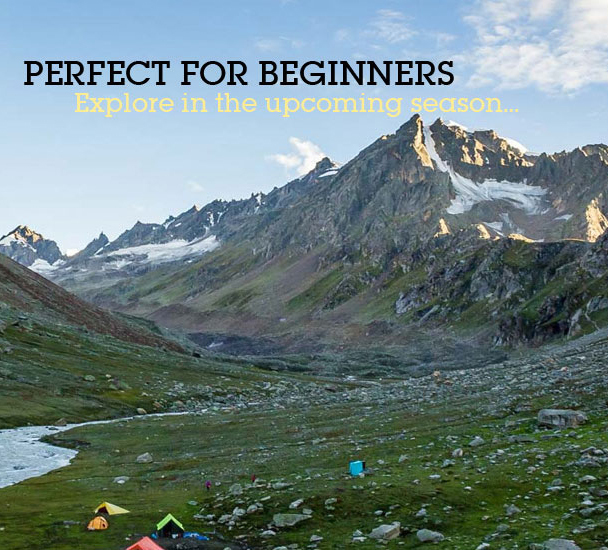 Ltd.
July and August: Though this is the best time to explore the rare Himalayan Flora as all the meadows are carpeted by variety of alpine flowers, but there are chances of encountering the monsoon rain during this period. Mid May – Mid June and from first week of the September till October is the best time. Backpack (Min 55 Ltrs): A good quality backpack from reputed brand and try it before buying. Floaters or Sandals: When you are at the camp they help to move freely. Trekking Shoes: Always invest in a good quality trekking shoes, we recommend Forclaz 500 by Quechua. They are light weight, good grip, sturdy and easily available throughout India. and CAMERA with huge memory card and fully charged with extra batteries !! Ascent through the villages, Himalayan deciduous Alpine Forest. Once the tree line is passed the camp is set in the meadow with excellent view of the valley. Over the high altitude meadows. First gradual climb through the open meadows initially providing awesome mountains cape, takes one to the High altitude meadows of Raurikhaudi. Camp at a small mountain tarn in the meadow, where local Shepard’s of Kullu Valley graze their herds of sheep’s and goat. Next is steep descent through the rhododendron bushe	and birch trees with splendid view of Mount Deo Tibba (6001 Mts. ), to the base of the mountain (Piyang niru). An absolute Alpine area with massive glacier and moraine. 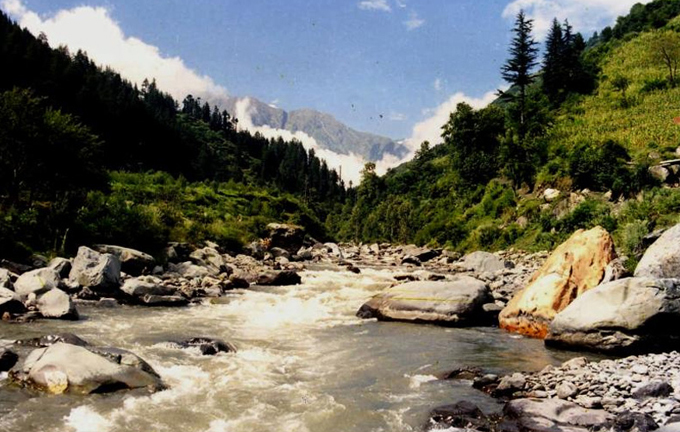 The sight of the Deo Tibba Mountain from Piyangniru, fascinate all the trekkers . From Piyangniru, in the Valley floor along the strean, which originates from the Deo Tibba Glacier and the Deo Tibba slowly drifts away. The whole area is surrounded by high summits, hanging glacier, and massive moraine. This is true alpine zone that we are trekking in. Finally we get to the beautiful meadow of the Marhi. The Camp provide view of mountains Ranges to all sides. Descend to the other side of the Valley and enter into the tree line. We further walk through the forest of Maple , pine ,walnut and Pine first to the camp. Further the walk is through Grassy banks, sloping down from the high cliffs all around, pave the trial. There are some side streams to cross before descending back to the main valley floor. This area is popular with the Gaddi shepherds in the early part. of the season, grazing their flocks before continuing their migration to Lahaul. Juara (3700m); brown bears are said to hibernate in the nearby rock caves during the winter. 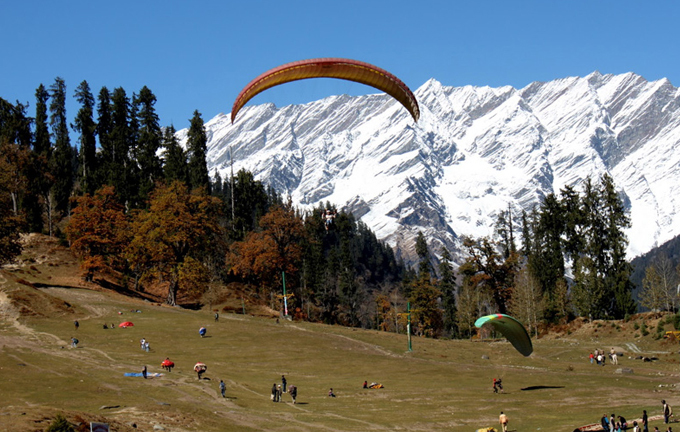 From camp there is a short, steep climb over scree slopes before reaching a plateau where you can gain views back down the Hampta Valley and the peaks on the far side of the Kullu Valley, including Hanuman Tibba (5928m). The last 200m to 300m to the pass are steep, with views of rock spires and hanging glaciers completing the panorama. 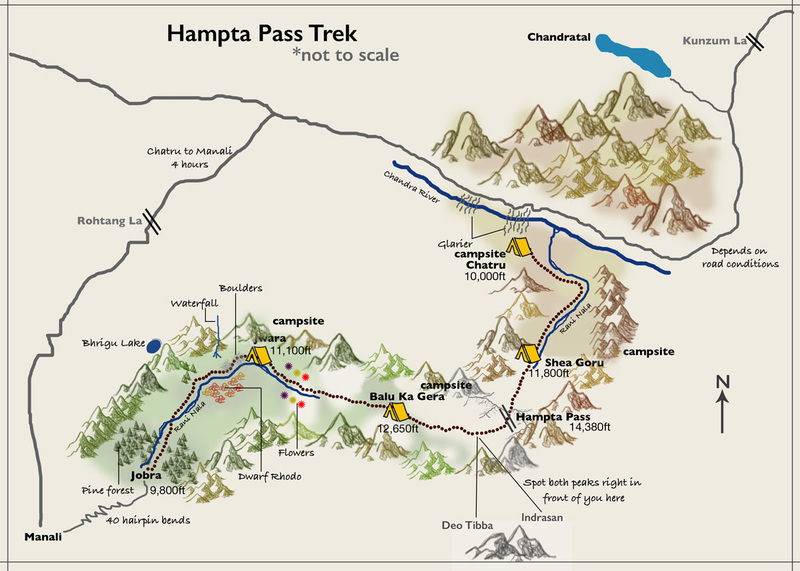 The Hampta Pass (4270m), is on the true right side of the valley. However, there is an excellent vantage point for viewing the Lahaul Range. Trek back to the camp. Juara - Manali (2050 m) – via Uchlung Bhiali (3200 m) 5Hrs. Trek back to Chhika reservoir then following right side of the Hampta steram all along the ridge, the trial is narrow so needs good attention. On the way the trail passes through small meadows and pine forests. Please Note: It is also possible that a route change may become necessary due to inclement weather, inaccessibility through the mountain passes due to heavy snow, condition of the trail and physical fitness of the clients, political restrictions and other cause beyond human control. © 2017 All rights reserved. By WEBQRATORS.